When a driver chooses to hit the road while under the influence of alcohol or drugs (DUI/DWI), they are endangering the lives of themselves, their passengers and other motorists on the road. According to the Centers for Disease Control and Prevention, one in three traffic deaths in the United States involve a drunk driver. Alcohol, illegal drugs and prescription medications can interfere with a driver’s coordination and judgment. If a driver is intoxicated and operating a vehicle with a blood alcohol concentration (BAC) level over the legal limit, this can be used to help establish liability following an automobile accident. In the United States, you are considered to be driving under the influence with a BAC of .08% for adults aged 21 and over. For people under the age of 21, zero tolerance laws make it illegal to drive with any measurable amount of alcohol in their system. Specific laws and penalties related to DUI vary from state to state. Washington has unique DUI laws that are important to understand for every driver. There is an increased penalty for a BAC of .15 or higher. In the state of Washington, sobriety checkpoints are not conducted. Sobriety checkpoints or DUI roadblocks are random, designated locations where law enforcement officers stationed to check drivers for signs of intoxication and impairment. Washington is one of the few states where marijuana is legal for medical and recreational purposes. If a driver has a blood THC level of 5 nanograms with two hours of driving, the driver is considered to be driving under the influence in our state. What Happens Next if I was Injured in a DUI Accident? Drunk or impaired driving accidents can cause great emotional distress for the victims and their families. Drunk or impaired driving accidents can leave victims seriously injured, permanently disabled, or even dead depending on the severity of the collision. When the medical expenses, repair bills and lost wages add up, they can also become extremely costly for the victim involved. If you suspect the at-fault driver was under the influence of alcohol and/or drugs in your automobile accident in Washington, it’s imperative to take swift action in order to preserve relevant evidence in your case. 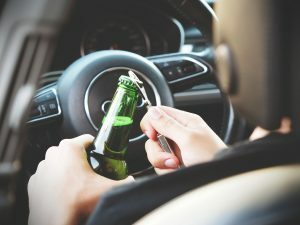 In certain circumstances, you may also have the ability to make a claim against an establishment (bar, restaurant, club, or private events) who served alcoholic beverages to the drunk driver, if it can be established that the drunk driver was over-served. This is known as a dram shop claim. If you are a victim of another driver’s reckless behavior on the road, contact my team and I at Tacoma’s Evergreen Personal Injury Counsel. Hiring an experienced attorney who understands the complexity and depth of personal injury law can help ensure that you get the compensation you deserve for your injuries.